If you like to keep your workout routine a bit different, then a unique new class in London is for you. Tower Bridge Exhibition, one of London’s most iconic attractions, has launched a brand new season of its sell out ‘Yoga in the Walkways’ classes. 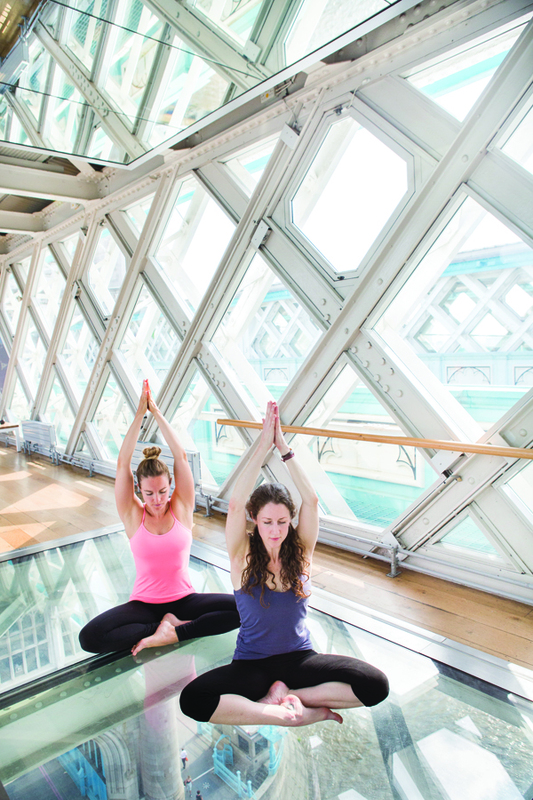 Back by popular demand, the sunrise vinyasa-flow yoga classes take place on the world famous attraction’s glass floor walkway, a heart-thumping 138ft above the River Thames. Designed to revitalise, reboot and rebalance, the classes are open to all abiliities and offer a unique setting to perfect the practice, whilst taking in the magnificent and unrivalled views of the Bridge’s bascules and beyond. www.eventbrite.co.uk/e/yoga-in-the-walkways-tickets-37909165334, at £25 per person. What’s your approach to good health?